So you actually look below the break? 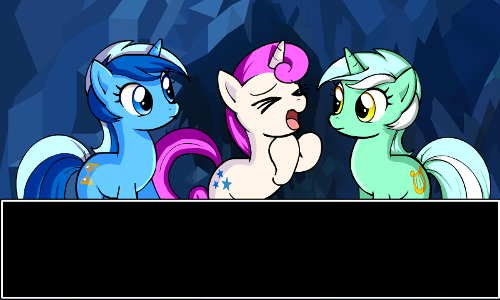 Good, because I found a treasure trove of Minty Fresh Adventure II screencaps on MLPchan. Most of 'em are from back in July, but I thought you'd enjoy them regardless. I kind of doubt that this one is from Minty Fresh Adventure II, but ah well. Congratulations on making it this far down! As a reward, have some tech demos and whatnot.